Queen Of The Crystal Rays™ is a thrilling gaming experience centered around the mystical powers of the Queen and the Crystal Rays she commands - creating a dynamic base game feature and colorful bonus sequence that will have players returning again and again to explore this magical world. 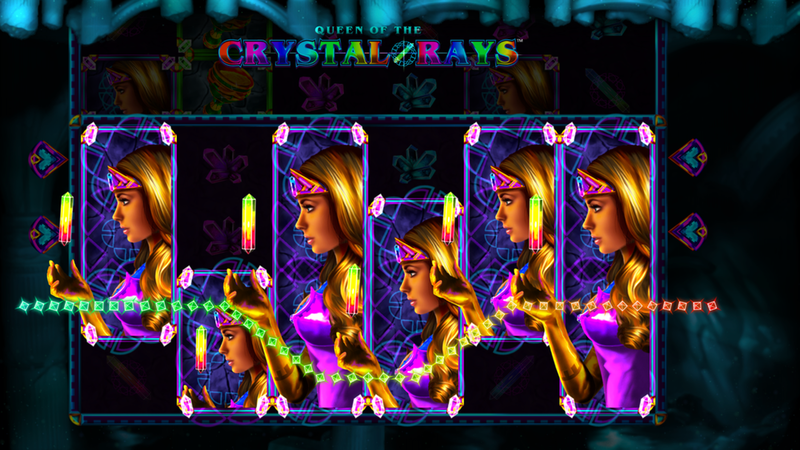 During the Crystal Ray Feature, the Queen appears to unleash her mystical power - and double the size of the reels and the number of payline’s! Players watch in amazement as the rays activate, dynamically changing their path as they bounce off of crystal reflectors spinning by. When the reels stop, wilds are populated along the glowing paths - and possibly 2X multipliers as well! 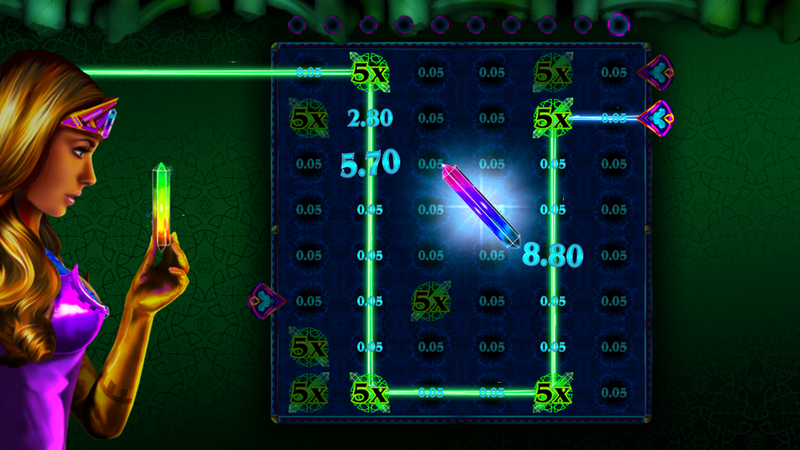 The Queen Of The Crystal Rays™ Bonus welcomes players into a world of possibilities - and multipliers! The expanded gameboard is populated with cash prizes and crystal reflectors. Each round offers higher multiplier crystals than the last. 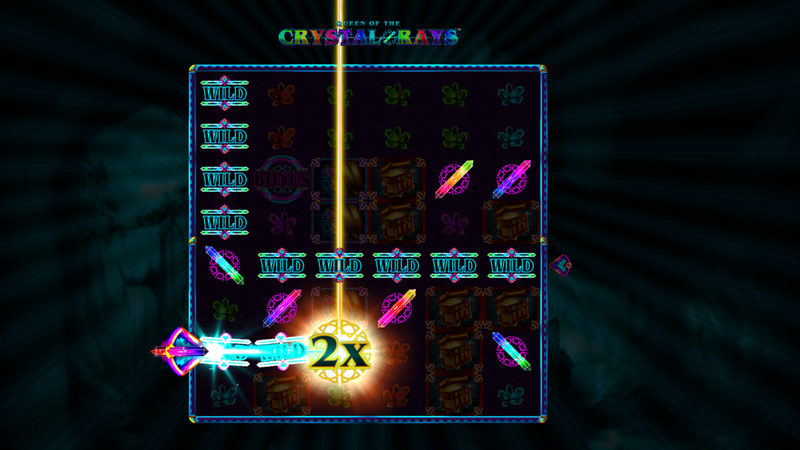 Watch as the crystal rays blast credit values, adding them to your bonus win!